Metabolomics is a newborn cousin to genomics and proteomics. Specifically, metabolomics involves the characterization of the small molecule metabolites found in an organism. Since the metabolome is closely tied to the genotype of an organism, its physiology and its environment, metabolomics offers a unique opportunity to look at genotype-phenotype as well as genotype-envirotype relationships. Metabolomics is increasingly being used in a variety of health applications including pharmacology, pre-clinical drug trials, toxicology, transplant monitoring, newborn screening and clinical chemistry. However, a key limitation to metabolomics is the fact that the human metabolome is not at all well characterized. Being the intermediates of biochemical reactions, metabolites play a very important role in connecting the many different pathways that operate within a living cell. The level of the metabolites are determined by the concentration and the properties of the enzymes, and their level is a complex function of many different regulatory processes inside the cell. The level of metabolites represents integrative information of the cellular function and deﬁnes the phenotype of a cell or tissue in response to genetic or environmental changes. Increases in mRNA levels do not always correlate with increases in protein levels, and once translated a protein may or may not be enzymatically active. Therefore, changes observed in the transcriptome or in the proteome do not always correspond to phenotypic alterations. Thus, measurement of the metabolites synthesized by a biological system, the metabolome constitutes an important complement to assess genetic function. In common with the transcriptome and the proteome, the metabolome is context-dependent, and the levels of each metabolite depend on the physiological, developmental, and pathological state of a cell, tissue, or organism. Metabolome analysis covers the identiﬁcation and quantiﬁcation of all intracellular and extracellular metabolites (with molecular mass lower than 1000 Da), using different analytical techniques. In addition to applications in functional genomics, quantiﬁcation of metabolite concentrations enables identiﬁcation of the kinetics that underlies speciﬁc intracellular reactions. The genome, transcriptome, and proteome elucidations are based on target chemical analyses of biopolymers composed of 4 different nucleotides (genome and transcriptome) or 22 aminoacids (proteome). Those compounds are highly similar chemically, and facilitate high-throughput analytical approaches. Within the metabolome, there is, however, a large variance in chemical structures and properties. Thus, the metabolome consists of extremely diverse chemical compounds from ionic inorganic species to hydrophilic carbohydrates, volatile alcohols and ketones, amino and non-amino organic acids, hydrophobic lipids, and complex natural products. That complexity makes it virtually impossible to simultaneously determine the complete metabolome. Therefore, the metabolome has been studied with efﬁcient sample preparation and with selective extractions coupled to a combination of different analytical techniques to achieve as much information as possible. Analysis of cellular function at the molecular level requires recruitment of several different analytical techniques. Whereas comprehensive methods for analysis at the transcriptional level (transcriptome) and at the translational level (proteome) are currently in a rapid state of development. So Mass spectrometry (MS) and NMR are the most frequently employed methods of detection in the analysis of the metabolome. NMR is very useful for structure characterization of unknown compounds, and has been applied to the analysis of metabolites in biological ﬂuids and cells extracts. The most important advantages of MS are its high sensitivity, and high-throughput in combination with the possibility to conﬁrm the identity of the components present in the complex biological samples as well as the detection and, in most of the cases, the identiﬁcation of unknown and unexpected compounds. The use of NMR or MS-based methods to analyze urine and blood samples has the potential to offer a minimally invasive method for the diagnosis of late-life diseases (cancer, atherosclerosi, diabetes). Metabolomics approaches provide an analysis of changing metabolite levels in biological samples. In the past decade, technical advances have spurred the application of metabolomics in a variety of diverse research areas spanning basic, biomedical, and clinical sciences. In particular, improvements in instrumentation, data analysis software, and the development of metabolite databases have accelerated the measurement and identification of metabolites. Metabolomics approaches have been applied to a number of important problems, which include the discovery of biomarkers as well as mechanistic studies aimed at discovering metabolites or metabolic pathways that regulate cellular and physiological processes, especially within the context of pathways linked to disease. The Human Metabolome Database (HMDB) is a bioinformatic/cheminformatic database with detailed information about human metabolites and metabolic enzymes. It can be used for fields of study including metabolomics, biochemistry, clinical chemistry, biomarker discovery, medicine, nutrition, and general information. The HMDB contains an extensive collection of experimental metabolite concentration data for plasma, urine, CSF, and/or other biofluids The HMDB is fully searchable, with many tools for viewing, sorting and extracting metabolite names, chemical structures, biofluid concentrations, enzymes, genes, NMR or MS spectra, and disease information. The database contains over 7900 metabolite entries including both water-soluble and lipid soluble metabolites as well as metabolites that would be regarded as either abundant (> 1 uM) or relatively rare (< 1 nM). Additionally, approximately 7200 protein (and DNA) sequences are linked to these metabolite entries. Each metabolite entry in the HMDB contains an average of 90 separate data fields including a comprehensive compound description, names and synonyms, chemical structure information, physico-chemical data, reference NMR and MS spectra, normal and abnormal biofluid concentrations, tissue locations, disease associations, pathway information, enzyme data, gene sequence data, and SNP and mutation data, as well as extensive links to images, references and other public databases. Our additional databases, DrugBank (URL), T3DB (URL), SMPDB (URL), and FooDB (URL) are also part of the HMDB suite of databases. 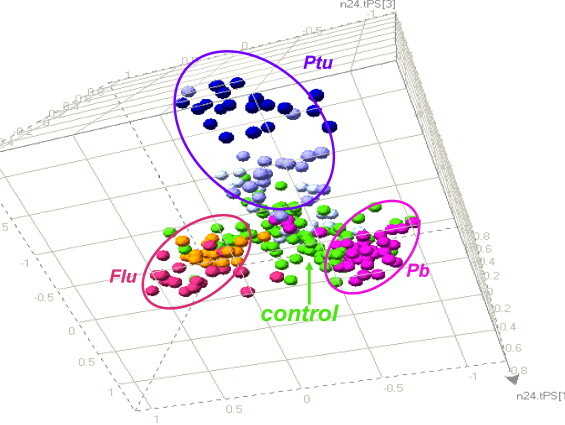 DrugBank contains equivalent information on ~1500 drugs, T3DB contains information on 2900 common toxins and environmental pollutants, SMPDB contains pathway diagrams for 350 human metabolic and disease pathways, while FooDB contains equivalent information on ~2000 food components and food additives.